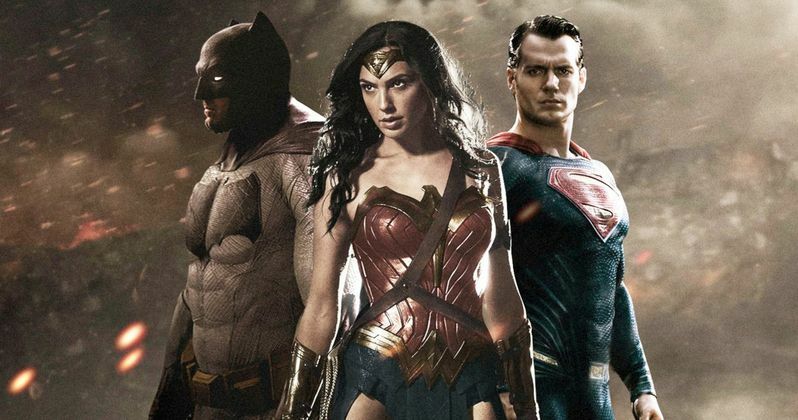 Batman v Superman: Dawn of Justice came as the surprise announcement of Comic-Con 2013, and it's ridden a wild wave of rumor and speculation ever since. For the past two years, we've heard every possible scenario for the movie. We've been told a number of different stories. And we know that there is still a surprise or two left to be had when it finally opens in March 2016. We're still almost a year away from release. And when it comes right down to it, there is still quite a bit that we don't know. But after two years of hustle and bustle, there's quite a bit that we do, especially with the release of the latest trailer at Comic-Con. This is all of it that you should know! First, most of the attention placed on Batman v Superman: Dawn of Justice points to it being more of a Batman movie than a Superman movie. Though, Superman will get his fare share of screen time. The latest trailer teases that both superheroes will get equal screen time. Though, Poor Kal-El has been pushed to the side of the screen by his far more popular counterpart, with most of the attention focused on what Ben Affleck is doing as the caped crusader. When Batman v Superman: Dawn of Justice was announced, most believed that we were getting a straight-up Man of Steel 2. And there is a huge faction of fans who still want that to happen. But with two Justice League movies on the way, and a number of other DC Comics solo movies lined up for the next five years, Clark Kent won't be able to have the screen to himself until at least 2021. And by that time, between DC, Marvel, The Transformers, the Universal Monsters and a number of other shared universes currently in the works, a movie devoted to one sole superhero is going to feel incredibly old fashion. By 2021, a standalone Superman movie is going to also feel nostalgic, and it might be just what audiences want in six years. But for now, their getting a mega-epic with tons of characters. On the other hand, Warner Bros. is planning a Untitled Batman Reboot that will arrive before the end of this decade. Ben Affleck is set to direct, with DC Comics' Geoff Johns co-writing the script alongside the actor. The film will be Ben Affleck 's next directorial effort after he finishes Live by Night, which Warner Bros. has set for release on October 7, 2016. Nothing is known about the story, or how it will fit into the DC Cinematic Universe. Ben Affleck is also set to reprise his role as Bruce Wayne in Justice League Part 1 and Justice League Part 2. And while we know the actor is going to show up in Suicide Squad, which is evident in that film's first teaser trailer, it hasn't been ruled out that he'll pop up in any of the other crossovers or spinoffs planned in the next couple of years. Both Batman and Superman are two of the longest running and most popular superheroes on the planet. And they have dominated popular culture in all forms of media since their inception. From the black and white serials of the golden age of Hollywood to a very popular weekly TV series, The Man of Steel has been a part of visual entertainment since the creation of projected light. But it wasn't until 1978, with director Richard Donner's Superman, that we believed a man could truly fly. Christopher Reeve captured our hearts as Kal-El, and it was hard to imagine anyone being able to retain that magic. After four movies that slowly dwindled in quality and creative energy, Superman was shelved from the big screen. He flourished on the small screen though, with both Smallville and Lois & Clark: The New Adventures of Superman. Tom Welling and Dean Cain both proved to be popular successors of the cape. It wasn't until 2006 that Warner Bros. decided to dust off their Kryptonite and throw Superman back on the big screen. Bryan Singer, who kick-started the superhero revolution with his 2000 blockbuster X-Men, was tasked with resurrected Superman. And while it wasn't a failure, it didn't strike much interest in the hearts of new fans and the younger demographic whom the movie was targeted at. It was an almost direct sequel to the original Superman movies, right down to the fact that Brandon Routh was channeling Christopher Reeve in an eerie performance that, while great, seemed very redundant. Poor Brandon Routh only got to play Superman once in a film that is basically Superman 5. It wasn't until 17 years later that DC, Warner Bros., and director Zack Snyder found a way to rejuvenate the franchise and make it resonate with today's audiences. For the most part, they succeeded, even though the film has its problems and its critics. There is no denying that Henry Cavill makes for a great Superman. He has all the qualities that fans love about the Superhero. Wholesome, yet he brings a mysterious edge to the Alien. And in Batman v Superman: Dawn of Justice, he'll get to show a side of Superman that we've never really seen on the big or small screen before. And while Batman my be getting all the attention now, fans will surely walk away from this next adventure with a different view of the titular hero. A true human tragedy like 9/11 has nothing on what happens in the third act of Man of Steel. If this had actually happened, Superman would have probably been destroyed by the governments of the world. Fighting a foe from his home planet, he demolishes an entire city and kills an untold number of innocent bystanders. When we first see him return in Batman v Superman: Dawn of Justice, we know that he is hated by a large portion of the population. He is ostracized, even though he can do nothing but good for humanity. He is vilified even further by a young entrepreneur who truly believed a man like Kal-El is bad for business. We know that the first act of Batman v Superman: Dawn of Justice will set up an epic fight between the two superheros of the title. This Super man in the tights and cape must be destroyed. And Batman, a vigilante who has been living in the shadows, is the only man who can do that. But where does Kal-El's story go from there? We know that Lex Luthor will be his main point of interest, as the villain is targeted for a nice peaceful stay in jail. But what is the rest of this story? We know that Superman and Batman eventually come to some sort of agreement. And we know that Superman leads the charge in setting up Justice League. The specifics of that will only start to fall into place over the next few months. And we won't know what the climax of this film holds until we hear about the first advanced screenings. The end of Batman v Superman: Dawn of Justice is still very much a mystery. But what else do we know about that mystery?